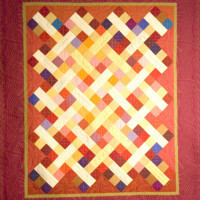 Celebration quilts commemorate weddings, anniversaries, and birthdays, indeed, any special event. 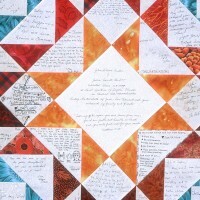 Guests sign pieces of fabric, which are sewn into a unique quilt. For example, at a wedding reception, rather than signing a guest book, people record on fabric their best wishes, memories, even illustrations. 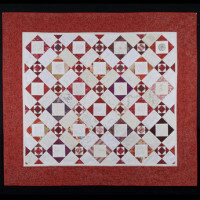 Knowing that their contributions will be part of a beautiful heirloom, they take special care in what they write, and the results are magnificent and moving. 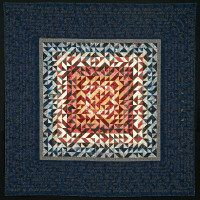 Signature quilts have long been a part of our quilting heritage. 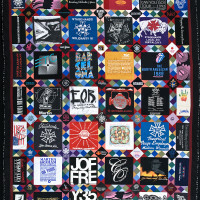 Now with special archival ink pens, the celebration quilts can be displayed on a couch or a wall or even used as a coverlet and machine-washed.